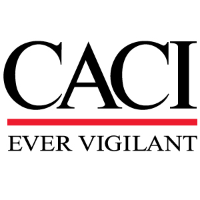 CACI is seeking a project manager for potential work to lead and manage operations and maintenance (O&M), research and development (R&D), and procurement of data and information processing capabilities. The focus will be to improve battlespace awareness and data for decision making at all echelons across Combat Air Force (AF) Command and Control (C2) and Intelligence, Surveillance and Reconnaissance (ISR) enterprise, Intelligence Community (IC), Joint, and Coalition air, space, cyberspace, and intelligence components, systems, and architectures. The primary purpose is to conduct Intelligence Data Handling Systems (IDHS) and AF C2 & ISR related research, studies, analysis, enhance operations, increase mission effectiveness, improve information security, conduct experimentation, and implement new and emerging information access, processing, analysis and dissemination technologies in response to critical AF and IC multi-domain needs across Air, Space, and Cyber. Leads technical teams on large projects or significant segment of large complex projects through full life cycle planning, development and sustainment phases. Provides applications systems analysis and programming activities for a government sites, facility or multiple locations. Prepares long and short-range plans for application selection, full life cycle development, systems development, systems maintenance, risk and change management, production activities and for necessary support resources. Works in dynamic and changing environment while assuring key milestone objectives are satisfied with a focus within cost budget constraints. Bachelor’s degree in computer science, engineering, systems management, or related discipline, at least 10 years’ experience of increasing responsibility in the field of project planning and tracking, experience in resource estimation and management as program manager of research, development, and sustainment programs. Eligible to obtain a Department of Defense (DOD), position appropriate level of, security clearance. Master’s degree in computer science, engineering, or related discipline. Project Management Professional Certification (PMP).